AT NO TIME IN HISTORY was crime more rampant than it is today. White-collar crime accounts for more than $140 billion in losses annually. Nearly $20 billion worth of check fraud occurs annually. More than $2 million of worthless checks are passed daily. Telemarketing accounts for $48 billion in fraud, while according to the FBI, Internet fraud as of 2009 had topped $264 million in online losses. A crime wave of this proportion has put the services of competent investigators and certified forensic-document examiners in high demand. This article is intended to educate and assist attorneys or investigators when they are speaking with attorneys, judges, or clients about cases that involve questioned documents. There are numerous types of cases where a document or handwriting evidence may be involved as a result of being found either at the crime scene or at the center of a civil suit. A competent investigator is cognizant of all the clues at a crime scene. Items such as credit-card receipts, legal papers, canceled checks, personal notes, leases, and other types of documents and writing may hold the clues to the motive. The observant investigator will call attention to these documents. An investigator who does not think along those lines may miss the subtle clues that could be found on even the smallest scrap of paper, on a blank writing pad (that might reveal “invisible” indented writing), or among the personal belongings of a victim. Crimes involving fraud, larceny, forged wills, death threats, identity theft, ransom notes, poison-pen letters, “other-hand” disguised writing, traced signatures, assisted deathbed signatures, altered medical records, fingerprint examination, ink and paper analysis, watermarks, contrived faxes, “cut-and-pasted” signatures on legal documents, anachronisms (chronological errors, such as paper or ink that did not exist simultaneously), disputed pre- and post-nuptial agreements, and auto-pen signatures are examples of the types of cases that are filed in our courts every day. An investigator should be aware of the fact that any documents or written material found at the crime scene may hold clues to solving the case, whether it is written on paper, walls, a car door, or a mirror. Questioned documents or writing can be typed, written in blood, lipstick, ink, pencil, or body fluids. Most documents are written with non-violent, white-collar criminal intent. Others are written with darker purposes in mind: murder, stalking, kidnapping, and suicide. In questioned-document investigations—as in any investigation—it is the duty of the document examiner to remove the shadow of doubt. The examiner, if possible, will determine—without prejudice—if the document is authentic or forged, original or altered. The document examiner is an advocate of the courts. Examiners do not have clients; they represent the justice system. As a result, the examiner cannot become emotionally involved or empathetic. Upon initial contact, the examiner must disclose a non-fiduciary relationship to the person who retains the examiner’s services. A well-trained document examiner knows to examine all the physical features of a questioned document, not just the questioned signature. There are dozens of components to consider when examining a signature or a document. Characteristics to consider include the writing medium used and the surface it is written upon, the age of the paper or ink, and watermarks. There are deletions, alterations, inclusions, and other aspects that must be considered, as well. The evaluation of letter formations, pen strokes, pen pressure, spacing, letter height, relation to the baseline, and slant are all part of the evaluation process. When a document is typewritten, there are other problems to consider. Was a page added after the fact? Is the page a copy? Did someone possibly apply “white out” on the original, type over it, and then make a copy so that it looks like an original? Was another typewriter used to make the forgery or the added page? And what about a computer-generated document? Are the pages all from the same ream of paper? With technology such as infrared and ultraviolet light sources, these questions can be answered. On a daily basis, document examiners are faced with a multitude of questioned-document problems. The most common cases, for example, involve forged checks, forged wills, graffiti, credit-card fraud, leases, deeds, contracts to purchase items—including homes, cars, and businesses—mortgage fraud, disguised writing, and poison-pen letters (hate letters). With the improved technology of printers and copiers, forging and counterfeiting is rampant through the use of “cut and paste” and “lifting signatures”. It is well known that the field of digital science is constantly evolving. As new technology becomes available, the document examiner must stay on top of the latest state-of-the-art and work to anticipate the ways criminals may use new technology to their advantage. The certified forensic document examiner must utilize all the latest techniques and technology that science has to offer when examining questioned documents. When investigating digital crimes—crimes such as forged passports, driver’s licenses, computer-generated documents, and digital images inserted into other items—document examiners are referred to as digital-crime investigators. The newest technology today is found in comparative ink analysis equipment. One very useful forensic tool in pen-formula differentiation is ink analysis that involves the determination of chemicals specific to certain types of compounds. 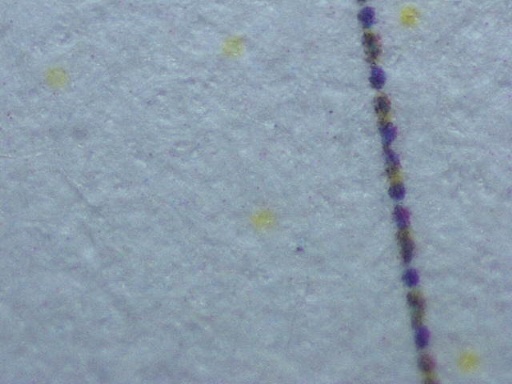 One method used to identify a certain kind of ballpoint-pen ink is called thin-layer chromatography. The process involves using an ultraviolet-visible photodiode array detector that allows for the dye components to be rapidly separated. A standard is a known authentic sample from which comparisons are made. The United States Secret Service and the Internal Revenue Service (IRS) jointly maintain the International Ink Library. This collection includes more than 9,500 inks, dating from the 1920s. 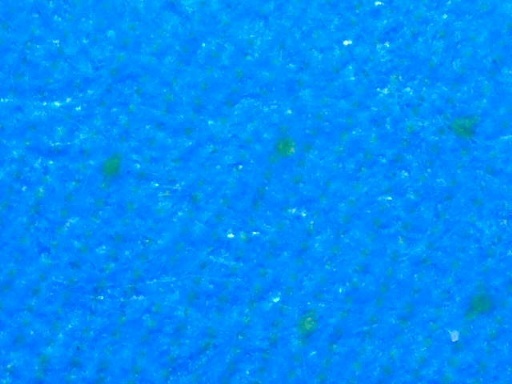 New inks are chemically tested and added to this database on a regular basis. This reference serves as a great resource for the detection of fraudulent signatures and documents. In the comparison of inks, chemical analysis can be useful in a number of cases, such as medical charts, tax evasion, insurance fraud, altered checks, counterfeiting, and other types of forgeries or frauds. A 2004 article from the Associated Press referenced ink-comparison evidence as one piece of evidence that assisted in the high-profile conviction of Martha Stewart. Examination of the ink on a document showed that an entry was made at a different time, possibly as an attempt to cover up insider-trading violations. The age of paper and ink can provide important clues when attempting to verify and authenticate a document. A key example was the Hitler Diaries case from the 1980s—one that involved purported diaries written by Adolf Hitler. The document examiner in the case unknowingly compared forged writing to the writing of the diaries. Taking the authentication and investigation one step further, the diaries were sent to a laboratory where the paper and ink was analyzed. It was proven conclusively that the document could not have been written by Hitler, since there were chemical compounds discovered in the paper of the book’s cover that were not available when Hitler was alive. The age of paper can be determined according to the additives and chemicals or by watermarks. The Hitler Diaries, as well as many other questioned historical papers, have been debunked, while others have been authenticated. Two new methods of determining the relative age of ballpoint inks has recently come to the forefront in forensic-document examination. Studies have shown that different inks have different drying times. The new method for analyzing the drying time of ink is done by chemical analysis. Unfortunately, this is a destructive process. These new developments are extremely important when examining ledger or medical-record entries. It has been established that the longer ink has been on a sheet of paper, the slower it will dissolve in the various solvents used to analyze them. It is now possible to identify the age of ink to within a six-month period. This new process of dating the age of inks has had dramatic impact on the examination and detection of backdated documents. Many malpractice cases have been won due to the analysis of ink on questioned medical records. Infrared-imaging equipment and infra-red photography have given the document examiner an exciting new world of technology for investigating cases. Although this is not a new concept, the technology has been refined and taken to mind-boggling new heights. The mechanics behind infrared are quite simple. The human eye perceives the reflected portion of the light spectrum. But there is much more of the spectrum that the human eye cannot see. For instance, when we see a rainbow, we are not seeing all the colors that exist. We see only red, orange, yellow, green, blue, indigo and violet. The colors on each side of the rainbow that we cannot see with the naked eye are the ultraviolet (UV) and infrared (IR) areas. The instruments we need to convert UV and IR wavelengths of the light spectrum into visible images for the human eye are called video spectral comparators and forensic imaging spectrometers. This equipment is used for non-destructive analysis of questioned documents in the presence of seemingly equal but physically different features of writing. With IR and UV, we can see “through” writing that has been blacked out or obscured by “white out”, as well as scribbled-out writing. With split-screen and overlay software, direct visual comparison can be made of several individual images. Erased elements or chemically altered characters can be easily detected with IR and UV technology. The exceptional sensitivity and broad spectral range can detect even the slightest differences in similar inks, not seen by the unaided eye. This equipment is at the highest level of authentication technology available today. Obliterated, faded, or altered writing can also be detected with IR and UV analysis. In a recent case handled by the IRS, the IRS claimed the defendant could not prove an expense he had written off for office equipment because the receipt had faded. The paper was old and the writing was “invisible”. Under an IR filter, the “blank” receipt luminesced, showing writing that was outside the wavelength of visible light to the naked eye. Another valuable piece of equipment to the document examiner is an electrostatic detection apparatus (ESDA). With an ESDA and specialized infra-red side-lighting photographic techniques, the characteristic indentations found in writing may prove that the writing was traced. In addition, when the top page of a pad that has been written on is removed, the “blank” writing underneath can be processed with an ESDA to show the writing by the indentations on the pages below. Research performed by the John Jay College of Criminal Justice in New York City indicates that an ESDA can recover indented impressions from documents that were written up to 60 years earlier. The technology behind the ESDA is fairly simple: To develop the indentations on paper, the indented paper is placed in a high-humidity device and transferred onto a bronze vacuum plate. The page is then carefully covered with a Mylar (transparent, non-conducting) film. 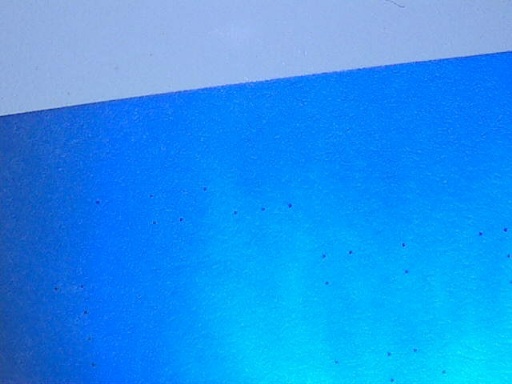 The page is then electrically charged so that toner will adhere to the impressions when applied to the Mylar covering. The final step is to pour the toner on the Mylar. This process develops the page containing the various indentations. An example of the use of an ESDA in a recent case involved a bust on a PCP drug lab. Although there was no paper evidence at the scene of the raid, the telephone book at the scene was analyzed and, in the end, it held the incriminating evidence—only visible by use of the ESDA. An astute investigator noticed a telephone book on the counter where the drugs were being processed. On the cover of the phone book were slight indentations that appeared to be writing. The indentations were restored by ESDA and the writing was compared to that of the known chief chemist of the PCP lab. The writing the ESDA retrieved was the chemical formulas, written by the chief chemist. Busted! As an investigator, you need to think outside the parameters of visible evidence. Evidence to solve your case may be right in front of you and may easily go unnoticed. In this case of the PCP lab, the real incriminating evidence was truly invisible. If not for the trained eye of the investigator, the case may have been dismissed for lack of solid evidence that could link the suspect with the actual manufacturer of the drugs. As an advocate of the court, the document examiner is relied upon to dispel any doubts about a questioned document. Sometimes, the examiner simply will not be able to render an opinion on certain documents. In those instances, the document examiner’s letter of opinion will state an explicit explanation. From murder scenes where notes are left behind, to kidnappings, to white-collar crimes such as forged checks, document examiners, investigators, and the technology they utilize prove to be a formidable team. Questioned documents are a global issue. As investigators, you must be cognizant of the technologically advanced level of the criminals we face today. We must use all of the intelligence, the technology, and the resources available to educate ourselves on the topic of continually evolving criminal minds. div. of Forensic Bureau of Investigations Inc. Via: Brian K. Korte, Esq. The information here shows the manner in which a promissory note and mortgage is photocopied and presented to the court as an original. Most of the notes “may” actually be photocopies, the UCC does not provide for photocopies. Lawyers are now bringing in experts to look at all the notes we found using our microscopes. Attention Homeowners buy a microscope for under $20.00 and find the dots on the fake promissory note, read on and understand how we were have been duped, its a fake note, counterfeit.